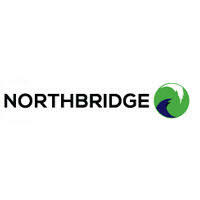 Northbridge Industrial Services (LON: NBI) Northbridge’s equipment rental unit in Australia, which was the earliest unit to suffer from the oil market turndown, was the main contributor to a 5% recovery in group revenues and a 44% rise in EBITDA in FY 2018, described as a “watershed” year. The high depreciation charge meant there was a £2.0m loss before tax and exceptionals, in line with our estimate and less than half of the prior year deficit. “Further good progress” for the oil and electrical tools group is expected for FY 2019E, in line with our (Shore Capital) estimates. FY 2020E EV/EBITDA, 5.0x. Revenue rose 5% to £26.9m (Shorecap est £26.1m). Operational gearing, due to high fixed costs including depreciation, resulted in a 44% increase in EBITDA to £4.6m (est £4.5m) and 21% rise in gross profit to £11.3m (est £11.1m). The pre-exceptional loss before tax fell from £4.4m to £2.0m, in line with our estimate. Net debt was unchanged at £8.7m (est £8.5m) reflecting £4.3m operational cashflow and a £2.5m equity issue, offset by the £3m acquisition of a failed competitor’s plant fleet. CEO Eric Hook viewed FY 2018 as a “turning point” for the company, which had suffered from tumbling demand from O&G customers for drilling tools in the Tasman division and electrical testing equipment in Crestchic, which also serves the much more stable market for energy security in the UK and Europe. Revenue in Australia and New Zealand rebounded by over 50%, having been the region that was hit earliest and heaviest by the slump in oil prices. We are not making any material changes to our estimates for FY 2019E – 20E, which we upgraded on 8 November 2018 (link to note). We anticipate a significant recovery in gross profit margins, from 41.8% in FY 2018 to 50% by the end of the period. We forecast total growth in revenue of 22% over the two years, and 78% in EBITDA, which should in turn lead to a swing from an operating loss of £1.4m in FY 2018 to £2.5m profit in FY 2020E. There was no dividend, but we consider that – as the company returns to a pre-tax profit – in FY 2020E in our estimates – the question of a pay-out could move up the agenda.